I am what one might describe as an “indoor kid.” I do love the outdoors, hiking, and sunshine, but at the end of the day I want a comfy bed where I can lay my head and an outlet where I can plug in my hairdryer. Because, Jewish hair. 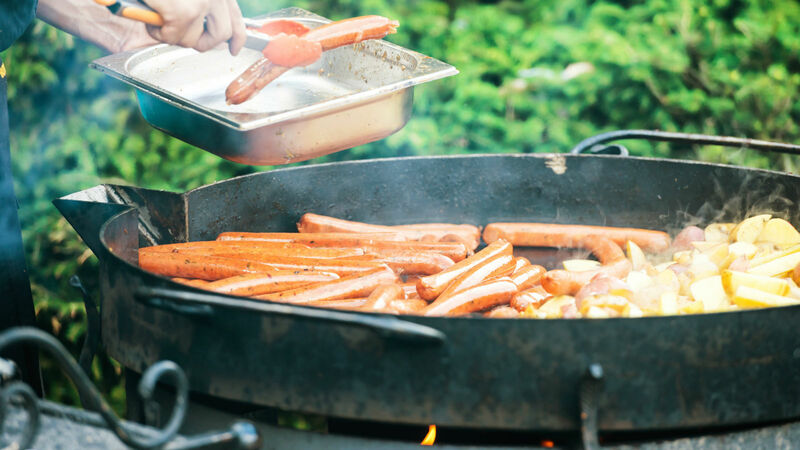 But it’s almost summer time and campfire cooking is super fun, and I genuinely respect those of you who love to connect with the outdoors beyond an afternoon hike. And as it turns out, you can make pretty crazy things over a campfire, including brisket, chicken soup, and even challah. Here are nine Jewish favorites to try this summer if you’re less of an indoor kid than me. Hot dogs, obviously. I assume you guys don’t need a recipe for this one. But if you really want to win at life, try baking your own hot dogs buns and bringing them along. Food 52 wowed us all several years ago when they proved, YES: You can make challah on a grill. Maybe not 100% right for outdoorsy-kind-of-camping, but pretty cool all the same. Grab some rye bread or challah rolls and make some hot pastrami sandwiches over the campfire. Just heat up some fresh deli pastrami in a cast iron skillet over a fire and serve on bread of choice. Don’t forget the mustard and coleslaw. You have to be really, really dedicated, but you can actually make chicken soup in a Dutch oven over a campfire. Just check out this guy Outdoor Cooking with Al on YouTube who seems to have mastered chicken noodle soup over a campfire. This is another dish where you have to be a little bit of an overachiever: Check out this campfire brisket from Man Made DIY. 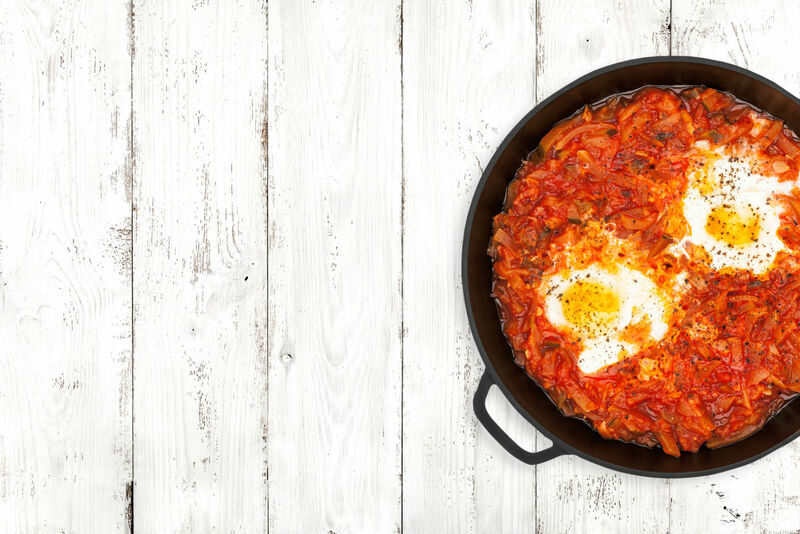 Shakshuka is really the most versatile dish ever, and you can totally cook it over an open fire. Need a hot breakfast after sleeping in the mosquito-infested woods all night? Yeah I would, too. Try this cast iron skillet corned beef hash from Bon Appétit that can definitely be made over a morning fire. You can even make FALAFEL, like this fire roasted falafel from What Jim Eats. And you can’t forget the s’mores. 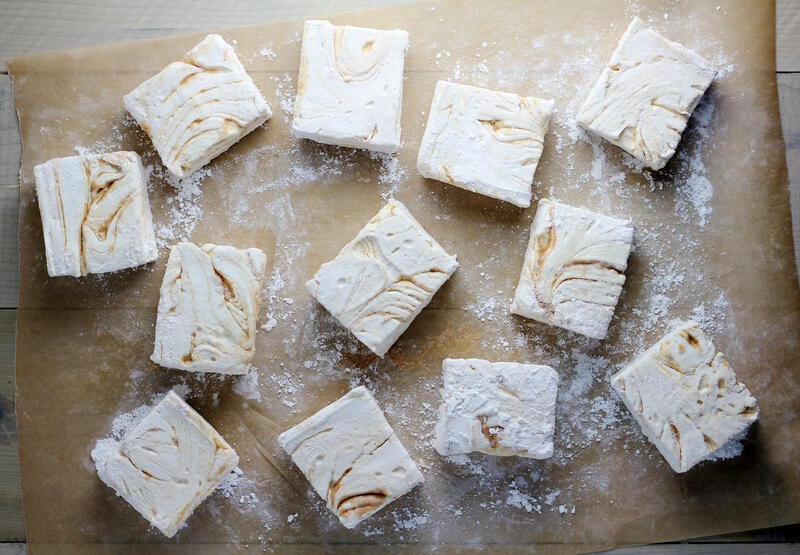 Tahini marshmallow s’mores, to be more precise. Slow cookers are ideal for Shabbat.